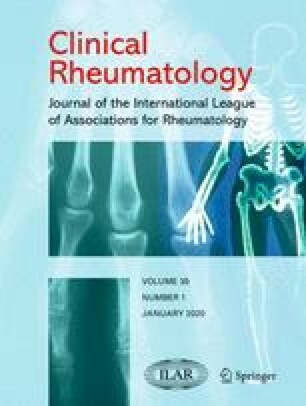 In this study we quantified the levels of matrix metalloproteinase-2 and 9 (MMP-2 and 9) in effusions and serial synovial cultures of patients with arthritis of the knee in order to investigate the correlations between MMP and cell counts in effusions as well as the possible roles of the synovium. In 49 patients with arthritis of the knee (series I) we examined the cell counts and the amounts of MMP-2 and 9 in 51 effusions. In 20 knee samples of series I of patients who received arthroscopy (series II), we examined the amounts of MMP-2 and 9 in effusions and serial synovial organ cultures. We also compared the gene expressions of MMP-2 and 9 and MT1-MMP in serial synovial cultures using RT-PCR. In series I, significantly more proMMP-9 appeared in effusions from the inflammatory group than in the non-inflammatory and hemorrhagic group (p <0.001). The levels of proMMP-9 correlated with the neutrophil counts in the effusions (p <0.001). In series II synovial cultures, the activities of latent and activated forms of MMP-2 and 9 in lesional areas were all higher than that in paralesional ones (p <0.05). In RT-PCR analysis, MMP-2, -9 and membrane type 1 MMP mRNA levels of lesional areas also showed increased expression. Our data suggest that the analysis of MMP-9 indicates the inflammatory condition of the joints and that additional synovectomy may be beneficial for patients with inflammatory synovitis, compared with non-inflammatory and hemorrhagic arthritis. This work was supported by grant from the Research Section of Chung Shan Medical University (CSMU 90-OM-B-017) and National Science Council, Taiwan (NSC91–2314-B-040–019).